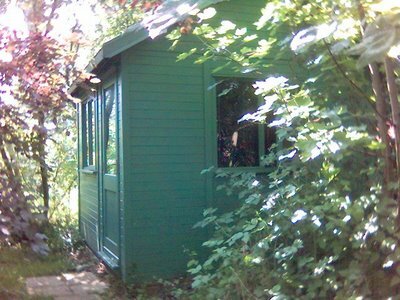 Man in a Shed: So what is inflation - really ? So what is inflation - really ? Reports of the British Gas price rise are in the headlines, and its an eye watering rise. I've had similar rises from EDF and Scottish power over the last few months - and I blogged on it then. Yet inflation seems to stay low - at least that reported by the government. My mother retired a few years ago and has noticed that the amount of money she has to spare per month has vastly reduced - perhaps she doesn't buy enough Chinese cheap white goods ? Soon the general public may lose faith in the government figure - then wage rounds etc will be a free for all with little real guidance. Next winter could be a bit of a crunch. I bet inflation hits poor families far harder than better off ( fuel and food are major parts I assume of their expenditure ). Strange, but not really if you know them, that NuLabour is so quiet. In Winter they will no doubt try and blame the companies - but you can see it coming now... So don't believe them. On the supply of gas leading to the need for expensive imports etc - this is very much the governments fault. It has been known for years - see 2002 10 year gas supply statement here.. I've seen earlier versions which the same points could be made from. 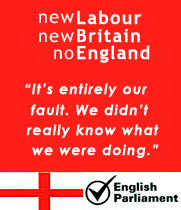 As usual our NuLabour government has been too busy getting reelected to run the country it is in charge of. (2005 10 year statement is here. ) Who thinks the lights will still be on in 10 years time ? I have it on good authority that the country is already in recession and has been for over a year. Of course it will not be confirmed until we are already half-way through it. Maybe so c4 but I continue to be astounded by the fact that approx 70% of the UK population remain with British Gas. People nowadays appear to be more loyal to their banks and utility providers than their spouses. Not for long now, perhaps.